From game developer to long running yet seldom seen console maker, Shin Nihon Kikaku – also known as SNK – is not a stranger to the trials and hardships of the video game industry. With the sudden resurgence of developer, new titles have been both announced and released, as well as a mini home console, SNK seems to want to be a strong force in gaming once again. Taking it one step further, SNK has decided to go back to some of their well known titles and give players an in-depth look at their past. 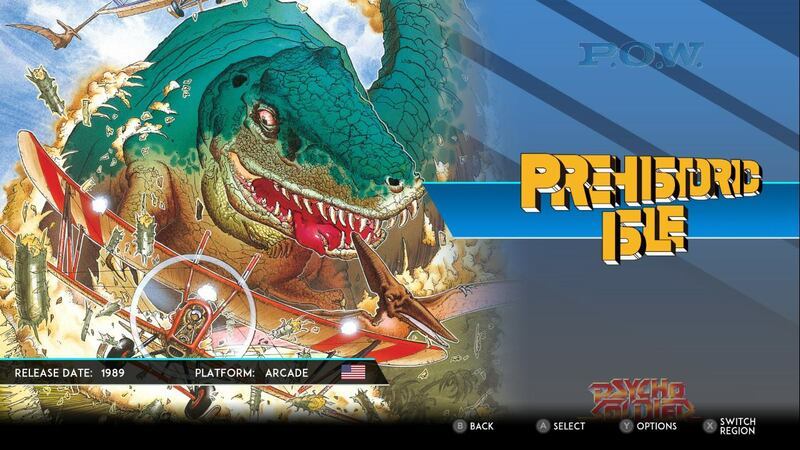 SNK 40th Anniversary Collection offers a much closer, in-depth look into the company’s beginnings, before the time of household franchises they created like King of Fighters. Is this compilation worth it? Read on to find out. From booting the game up, gamers will be treated with a small of 14 list of games from the company’s past to choose from. 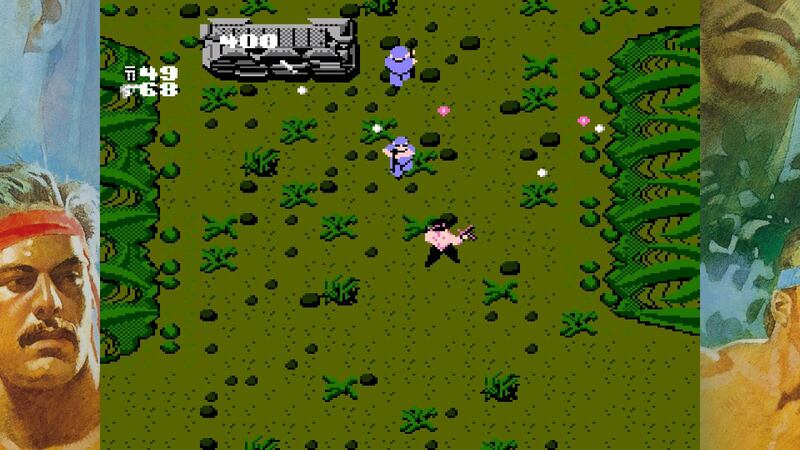 Some games included are titles like Athena and Ikari Warriors, and the even include both home and arcade ports. What I consider the star of the show, Crystalis, originally released on the NES, and it includes both the English and Japanese versions of the game. 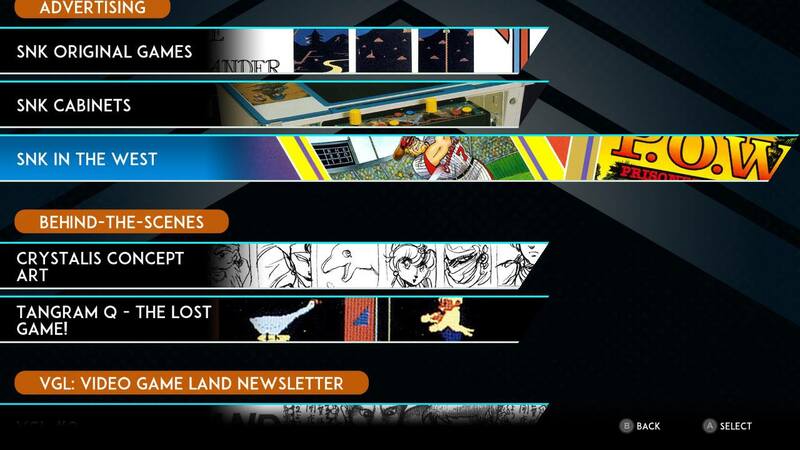 Included with this are small bits of information explaining the games, in a bit more detail. If you choose to do so, you can instead select to watch a video of the game being played if you desire. What’s interesting with this is experiencing both the good and bad points of SNK history. 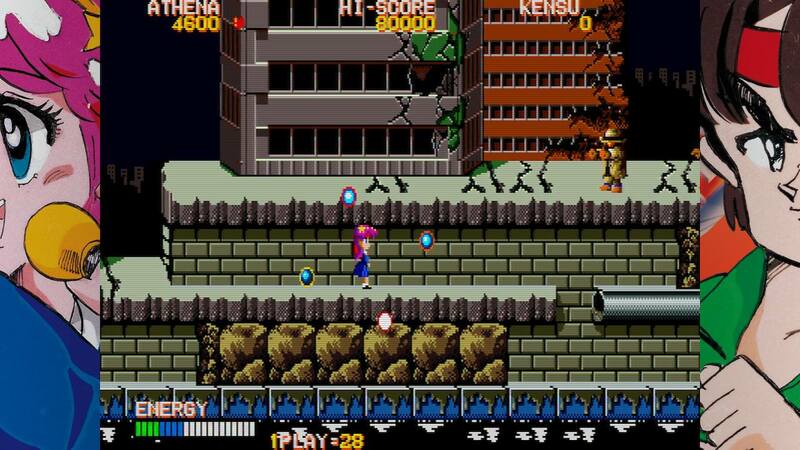 Psycho Soldier, for example, was one of the first arcade games to include vocal tracks in the game. While I never got to experience the audio when playing in a loud arcade as a kid, I was now able to experience it in all its cheesy glory. Likewise, it was also interesting to see where the characters such as Athena, Kensou, Ralph and Clark all came from in the games of SNK’s past. Make no mistake, the games included are just ports of the original releases. During my time of play no enhancements to sound or graphics were included. While it’s nice that they are kept in their purest form of when they are released, it does strongly however got to show just how badly many of the titles have aged. All too often as with titles such as Ikari Warriors or P.O.W. I would be left bored even though I had the thoughts of these being games I loved as a child. 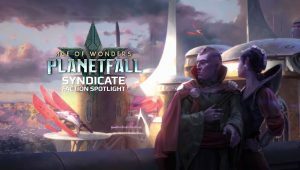 When it comes to additive features during gameplay, the collection does not stray to far from what can be considered the norm. With its added borders, pixel stretching for screen size, as well as different scanline filters, nothing special really has been added in the visuals department. However the games should have a rewind feature that allows gamers you to go back and correct mistakes, or allow backtracking which would fix some instances where games would not be able to progress due to getting stuck from bad game design choices or bugs. 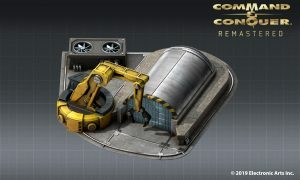 Included with the game is a museum mode that gives good insight on the companies past. Much rather than just including concept artwork, SNK presents a lot of information on themselves as a company by including advertisements, arcade guide books, newsletters, and game information from the years 1978 up until 1990. Soundtracks are also added for listening to at your leisure as well. I couldn’t help but feel the entire package was incomplete especially with the knowledge that the amount of titles will be increased with free DLC. While adding games such as Sasuke vs Commander and Beast Bursters is nice, the upcoming list does seem to missing a few games that should be added in terms of variety. For instance, while I am not a fan of sports games, the 1989 release of Baseball Stars would be a perfect fit for this collection. Or even adding a game not released stateside to the collection for something just a little more special. During my time with it, the presentation felt less about being a collection of old titles and more about being a history lesson. While hard to describe, the longer I played the more I found myself only playing Crystalis to completion, and looking at additional material over playing other titles. When looking at other game collections or mini consoles, the selections of games should last the test of time. SNK really does not have that luxury and it shows that they had to work with what they had. The added items, such as artwork and promotional material, were interesting. 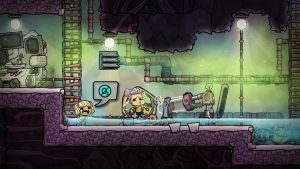 While some of the games were fun, the strange yet thankfully free DLC game additions do make the package seem overall incomplete and just thrown together all to quickly. Even the most die hard of SNK fans may have a hard time justifying this collection at its current price tag, and may be better off with a price drop. 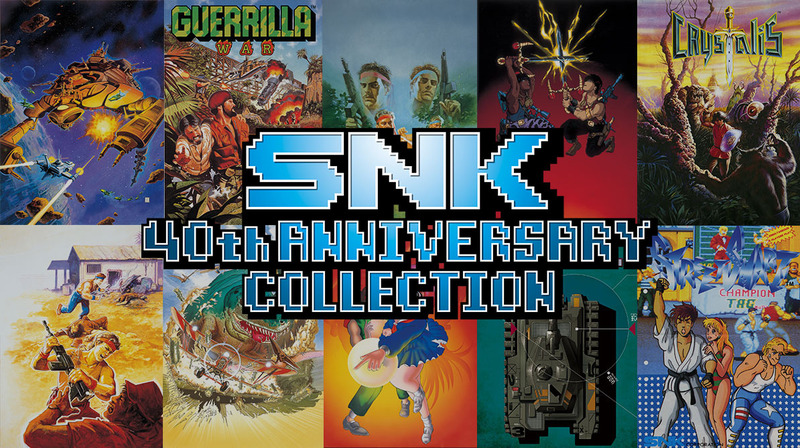 SNK 40th Anniversary Collection was reviewed on Nintendo Switch using a review copy provided by NIS America. You can find additional information about Niche Gamer’s reviews/ethics policy here. The inclusion of Crystalis as a playable title. Museum mode has a lot of interesting information even some game historians may miss. 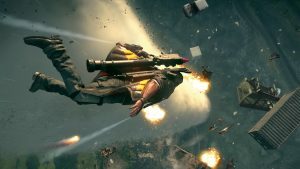 Free DLC to increase the selection of games. Even if the DLC is free it makes the game selection feel incomplete. Most games don’t stand the test of time. Feels expensive even at a lower price point.